Don Bradman, arguably the greatest batsman in the history of the game, would have turned 110 today, 27 August. In just 52 Test matches between 1928 and 1948, with the war years intervening, Bradman scored a total of 6996 runs at an average of 99.94, famously falling for a duck in his final Test innings, bowled by Eric Hollies, when just four runs would have given him an average of 100. Bradman, born in Cootamundra in New South Wales, passed away on 25 February 2001 at the age of 93. 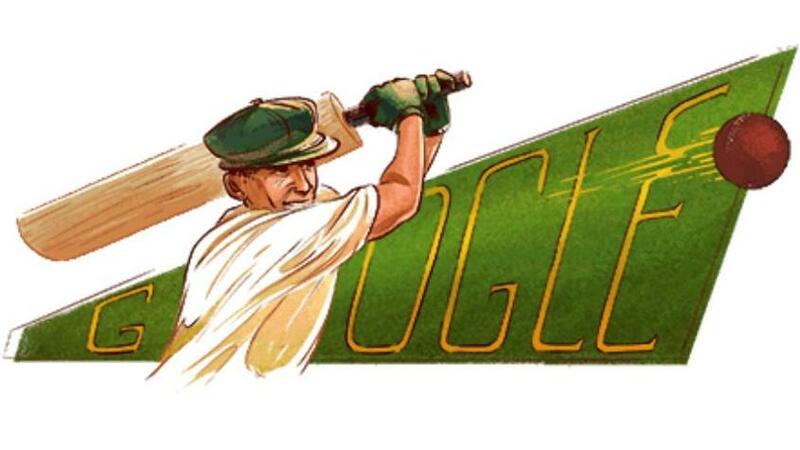 On his birth anniversary, Google remembered the Australian hero with a doodle. When he retired, ‘The Don’ had 29 Test centuries against his name, a record till Sunil Gavaskar went past the mark in 1983. Amazingly, Bradman scored his runs in just 80 Test innings. His tally of 974 runs in the 1930 Ashes series in England remains a record for most runs scored in a series. Captain of ‘The Invincibles’, Bradman was part of only two Australia teams that lost the Ashes – in 1928-29, his debut series, and in 1932-33, when Douglas Jardine’s ‘leg theory’ trumped the visiting side, though Bradman still hit a century and three half-centuries in the series. In his time, he was also the only batsman to hit two triple centuries in Test cricket, a record that has matched only by Brian Lara and Chris Gayle of the Windies and India’s Virender Sehwag. Following his retirement, Bradman served Australian cricket in various capacities, and also penned a number of articles and books on the game.